We wrapped up another releases: version 2.5 is now live. 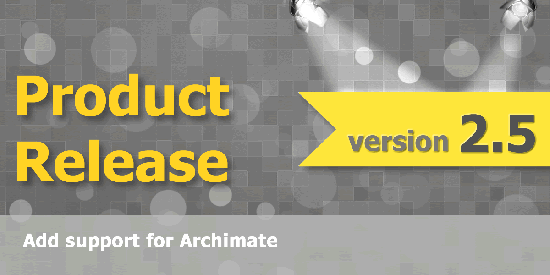 This is release added Archimate support to EAComposer. We had a few customers ask for this so we added it to our enhancements queue and were able to fit it into this release. (1) Go to Views & Model and you will now see the option to create an Archimate compliant view. This means that the components in your model now support using Archimate notation standards. (2)We also updated the metamodel with an Archimate compliant metamodel. This is part of some of the changes coming from TOGAF 10 Evolution where the TOGAF metamodel and Archimate model are getting closer aligned. To leverage the new EAComposer metamodel simple select "Reset Metamodel" from the Metamodel section (note your existing models & views and any custom components you added won't be impacted). (3) We added new component types to complete Archimate support and also expanded the list of type of relationships you can use between components. As per our roadmap our next release wll add Excel Import /Export to EAComposer. We have this planned for mid April 2016. Please don't hesitate to email us at support@eacomposer.com for any questions you might have. We usually respond to questions within one business day.